Canopy Growth (TSX:WEED; NYSE:CGC) completed the acquisition of the assets of ebbu, a leader in hemp research and innovation, for $25-million and 6,221,210 common shares. Under the accord, Canopy would pay up to an additional $100-million in cash, shares or a combination of both, if certain scientific-related milestones are achieved within two years. 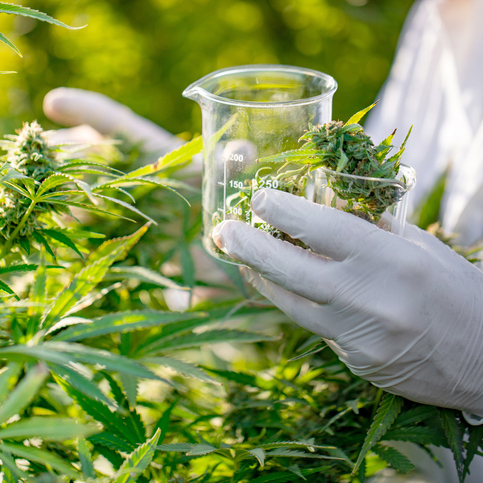 In a statement, Canopy said it plans to incorporate ebbu’s IP and R&D advancements to its hemp and THC-rich cannabis genetic breeding program, and its cannabis-infused beverage capabilities. ebbu's IP portfolio also would contribute to the clinical formulations program being developed by Canopy Health Innovations, a wholly-owned subsidiary of Canopy Growth. Canopy Growth, which operates a field-scale hemp operation in Saskatchewan, said that by applying ebbu's IP, it has the potential to vastly reduce the cost of CBD production, a cannabinoid used in the wellness and medical areas. Canopy Growth, through a newly formed subsidiary, will employ ebbu's personnel to conduct R&D. In addition, Canopy said ebbu’s technology platform would be utilized to produce other novel cannabinoids at scale and continue the process of unlocking the potential of lesser-understood elements in the cannabis plant. The IP also would be deployed at Canopy Growth's research and breeding facilities at Smith Falls, Ontario.